A deep intertubercular sulcus a.k.a. 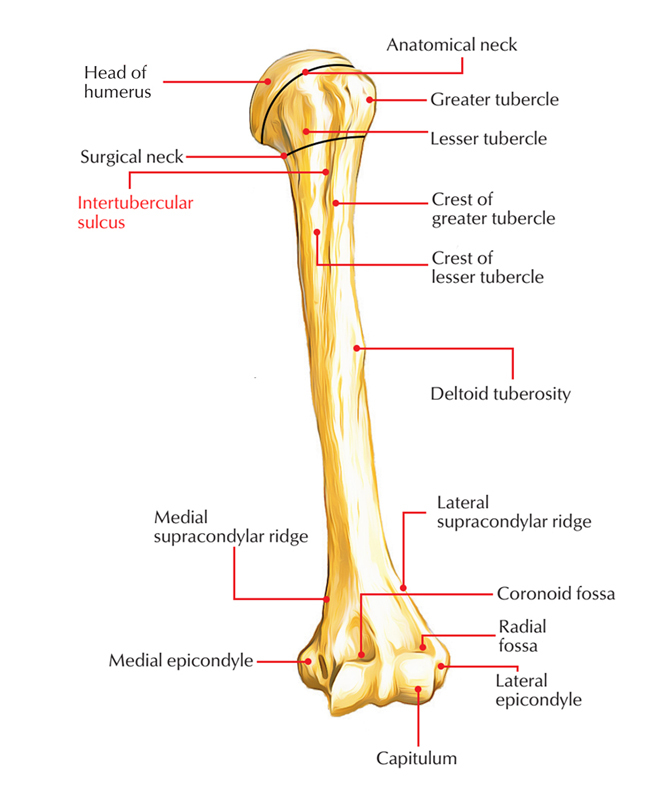 bicipital groove or intertubercular groove divides the lesser and greater tubercles and afterwards proceeds interiorly over the proximal shaft of the humerus. The tendon of the long head of the biceps brachii travels via this sulcus. Long head of biceps, surrounded in the synovial sheath. Ascending division of anterior circumflex humeral artery. Pectoralis major at the lateral edge of the sulcus. Teres major on the medial edge of the sulcus. Lattisimus dorsi in the floor of the sulcus.